Reducing the cost of space travel by 95%. What passes as current space technology has been stuck in 1960 era science. However, with the cancelation of the Space Shuttle program, the opportunity for a new era of low cost commercial space travel with practical reusable spacecraft & space planes is finally emerging. Science has advanced a lot since 1960. No place is this more evident than in the electronic world. Transistors have replaced vacuum tubes of the 1960s providing dynamic increased functionality while enormously reducing cost. The Intel quad-core i7 CPU chip contains 1.4 billion transistors. How big would the Intel i7 microcomputer be if it was built out of 1.4 billion vacuum tubes? Larger than a football stadium? How much would it cost? Today’s ordinary smart-phone, laptops and tablets could not exist if we still used 1960 technology. The trouble with space technology is that it is still stuck in the same 1960 era technology, i.e., the brute force of chemical rockets to obtain orbit. Even the Space Shuttle and SpaceX rely of chemical rockets. Advances in space technology have lagged behind advances in other science. Moore’s law (named after Intel co-founder Gordon E. Moore) states the number of transistors in a fixed area would double every 18 months, their speed would double every 18 months, and their cost would drop in half every 18 months. In contrast, space technology scarcely advanced in 50 years. Let’s apply Moore’s law to the Gemini space program since it was not lunar, orbital only, and preceded the Apollo program. Inflation adjusting 1967 cost to today’s dollars, each Gemini mission would cost about 730 million dollars. Appling Moore’s law, this cost would have been cut in half 33 times over 50 years, or down to a bargain basement price of only 8 cents per orbital space mission. Obviously we are not going to see such reduction in space travel, but the comparison does cause us to question why there has been such little progress. When the U.S. entered the space race 50 plus years ago, it was deeply rooted in the Cold War. The exploration of space was subterfuge. Deterring Russia, at any cost, was the true goal. Decisions made in the 60’s did not consider economic feasibility-the result was that the U.S. was taken down a costly path that still hinders progress in space technology. With the cancellation of the Space Shuttle program and NASA’s embrace of private space enterprises, a new space age era has arrived! Visionary space entrepreneurs such as Elon Musk of SpaceX, Richard Branson of Virgin Galactic and Jeff Bezos of Blue Origin have created businesses to embrace and explore the dawn of commercial space travel. What if we look beyond these entrepreneurs’ current endeavors? What’s next? What If We Made Space Travel Practical? proposes revolutionary spacecraft designs that would herald a new era of commercial space travel success. These concepts allow us to rethink space travel and it’s costs. For any project to become a long term success, it must be commercially economical and practical. Across the globe, governments are running out of money to support purely scientific projects. The only long term sustainable projects are ones that are supported by economic gain—corporate profits. The cancelation of the Space Shuttle program has presented an opportunity for the emerging commercial space travel industry. SpaceX and Virgin Galactic are visionary leaders in this new industry. Let’s examine some of the outcomes we can expect from these dramatic changes while also imagining where such technology leaps will take us. To learn more about the Star Horse concept and how we can reduce the cost of space travel by 95 percent, please visit http://www.starhorsespacecraft.com . To subcribe to our free newsletter, and to further track the developments in the Star Horse Project concept, subcribe on the newsletter sign up page on the right sidebar of this site. USING ROCKETS TO TRAVEL INTO SPACE IS RIDICULOUS! Rockets are expensive overkill in the lower atmosphere. Rockets are high-tech, high-speed crafts best used in the vacuum of space. What if we only use rockets when they are practical instead of during the entire flight? Wings serve no purpose in the vacuum of space. Wings add significant weight and drag during the ascent into space. Winged reentry and recover is dangerous and expensive. What if no longer use winged spacecraft? What if we simplify spacecraft reentry, recovery and reuse? Modern technology can make this process safer and more economical. Let’s look at what’s next … beyond what SpaceX and Virgin Galactic are doing. To learn more about the Star Horse concept and how we can reduce the cost of space travel by 95 percent, please visit http://www.starhorsespacecraft.com/ . The book is your guide to how our future can be significantly affected by the new commercial era space program. Some people don’t understand the importance of this because they are not familiar with how the space program of the 1960’s changed our lives. The 1960’s space program dramatically changed our lives. The space program propelled us from the industrial age into the technology age in an incredible short period of time. The space program changed our lives from being depended on mechanical devices into the much more powerful electronic devices. Today we strongly depend on our computers, laptops, tablets and smart cell phones. All of these devices are direct derivatives of the technology developed for the space program. The book “What if We Made Space Travel Practical?” will inform the reader of these issues. The book explains the historical issues and decisions that shaped our current space program. Our approach to going into space has barely changed since the initial design decisions were made in the 1950’s and 1960’s. The decisions, made during the Cold War era, were based on proving to the Russians that our rockets could reliably destroy Russian targets and thus provide a deterrent. The exploration of space was only a subterfuge. The space program became a victim of the Cold War mindset. The book “What if We Made Space Travel Practical?” explains the problem of excessive fuel weight. The overriding issue determining the efficiency, practicality and recurring expense of a space launch vehicle is the excessive weight of the fuel. Often the oxygen fuel comprises 80 percent of a rocket’s total weight. This is quite a waste since the rocket is within the atmosphere during a large portion of the flight, surrounded by plentiful oxygen. If we switched to an air-breathing propulsion system, a dramatically lighter, smaller and less expensive launch is possible. The book examines the possibility of air-breathing space launch systems. Air-breathing ramjets are significantly more economical as compared to rockets. The history of air-breathing systems proves that they are practical. Intercontinental Mach-3 ramjet missiles were successfully tested in the 1950’s. Is it reasonable to believe that today’s advanced technology could push this engine technology to deliver Mach-10 plus speeds in the upper atmosphere? If the flight envelope was adjusted to remain within the required air density for as long as possible, ramjets/scramjets could replace rockets in the launch boost phase. The book “What if We Made Space Travel Practical?” proposes that hypersonic ramjets/scramjets are the magic sauce when it comes to low cost and safe space travel. The key to an air-breathing launch is developing a practical ramjet/scramjet that can operate over a large range of speed and altitude–from subsonic to hypersonic. A hundred different traditional ramjets would be required to operate over that large range. A variable geometry ramjet/scramjet that changes its shape to form these hundred different engines is the key. This chapter proposes that we now have the technology to accomplish this daunting task. The book discusses that vertical rocket launches are less that practical. If a ramjet is to be used, some other technique or technology must be used to get the ramjet up to operational speed and altitude. Ramjets can’t move a vehicle starting from a standstill. Thus we need a “first stage” system to get the ramjet powered space vehicle up to starting speed. The book “What if We Made Space Travel Practical?” provides a detail proposal as to how a low cost wide operating range ramjet/scramjet could be built. The book describes a different type of air-breathing engine. The need for a wide range, low cost, mechanically simple, practical variable geometry ramjet/scramjet is absolute. The book discusses how new technologies, new materials, and new concepts can be used to dynamically change the proposed ramjet engine into a 100 different ramjets as it moves along the flight envelope. As the book explains, achieving a low cost methodology to get into space is not enough. What is also needed is a safe reentry and recovery allowing for reuse of the spacecraft. A low cost and safe methodology must be adopted for reentering the atmosphere and for recovery of the spacecraft. The Apollo ablative heat shield, burnt up during reentry, was a non-reusable and impractical design. The Space Shuttle’s impractical ceramic heat shield required six or more months of expensive repairs and inspections before it could be reused. 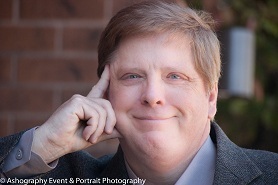 The book reexamines the issues and offers more practical solutions. The book “What if We Made Space Travel Practical?” also addresses some of the more popular methods proposed for space launch that may prove to be impractical. This is done in a chapter entitled “Stinking Thinking About Space Launch Methodologies.” This chapter takes a critical look at some of the more complex and thus riskier and more expensive solutions being proposed for space launch. The need to keep systems simple is addressed. The need to carry less weight into space in order to reduce cost is stressed. The book explains the inefficiency of previous space launch systems and provides a detail description of a proposed space launch vehicle called the Star Horse. Gone are the concepts of traditional rockets that are too heavy and waste too much fuel. Gone are the concepts of “space planes” that carry unneeded components into space. Gone are wings and wheels that have no purpose in space. Gone are curved shapes that are difficult to protect from hot reentry gases. Gone are the dangers from too hot atmospheric reentry temperatures. Gone are design compromises that result in too much risk and reduced safety. 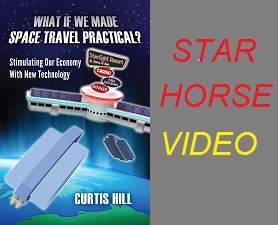 The book “What if We Made Space Travel Practical?” entitles its proposed solution as the Star Horse Project because the proposed solution will be the work horse taking men and equipment into low earth orbit. The Star Horse is a unique air-breathing propulsion system that operates over an extremely wide flight envelope. This book illuminates how it is far different from pervious systems that it is sometimes confused with, such as the NASA X-43A or the NASA X-51 WaveRider. To subcribe to our free newsletter, and to further track the developments in the Star Horse Spacecraft concept, subcribe on the newsletter sign up page on the right sidebar of this site. The book suggests that the proposed air-breathing engine technology could be adapted to provide for hypersonic passenger jet service. By using technology similar to what’s being proposed for the Star Horse, practical hypersonic passenger airliners may be possible. They may even prove to be lower cost to operate on transoceanic flights than traditional jetliners. New York to London in 45 minutes? The book “What if We Made Space Travel Practical?” describes new technologies and new methodologies that could reduce the cost of space travel by over 95 percent. This in turn could bring an avalanche of new businesses and opportunities that can stimulate our economy. We need to reexamine the possibilities of commercial space travel. The book “What If We Made Space Travel Practical” takes a critical look at what caused the space program stagnation. Further it proposes detailed techniques that could lead us out of this malaise. To order the book click here.